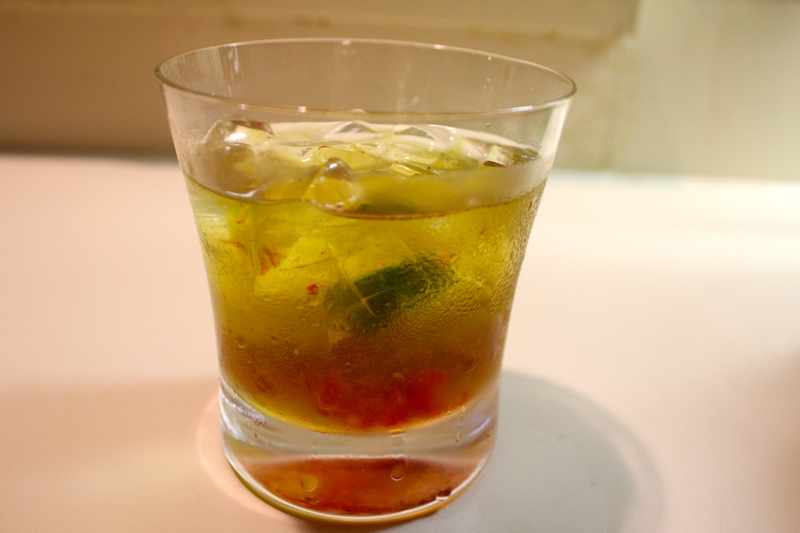 A Weekend with the Mrs: How to Make an Improv Cocktail | mrs. and the misc. This past weekend, Mrs. Christensen and Mrs. Fincher drove up from Dallas to visit me in Little Rock. It was just a weekend of no big plans, but lots of catching up and laughter. Friday night, Mrs. Christensen had a hankering for Chinese food, so I took her to my favorite local spot, Fantastic China. We shut down the place. We continued talking the night away back at the house. Saturday we went in search of estate sales, shopped at my favorite local boutiques and made them try Scallions, a local lunch staple. After a busy day, we decided to eat in instead, and challenged ourselves to a round of kitchen “improv” – that’s right, improv. What that means – and I totally made up this game on the fly – is that we each had to make a dish using only the ingredients I had on hand in the house (I had just gone grocery shopping about 4 days prior, so it was a fair game). Each of us were assigned a different course. 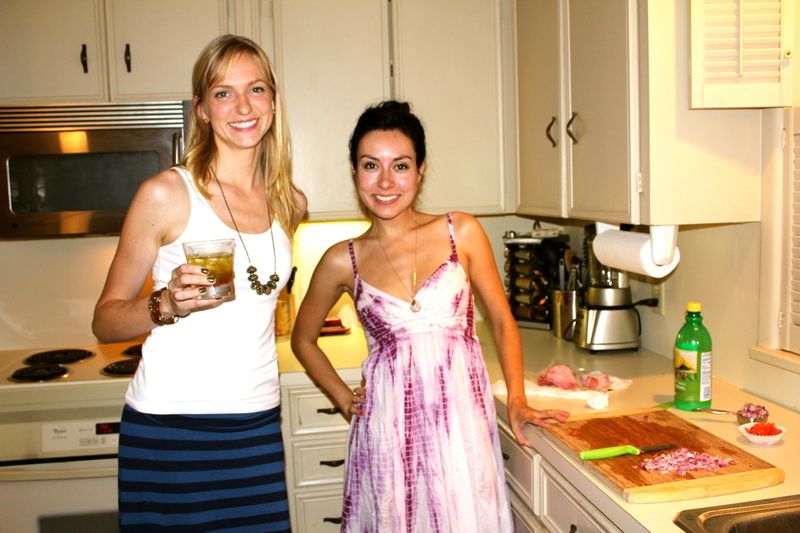 So, this week, we’ll be sharing our “improv” recipes, as well as some other gems from our weekend together. 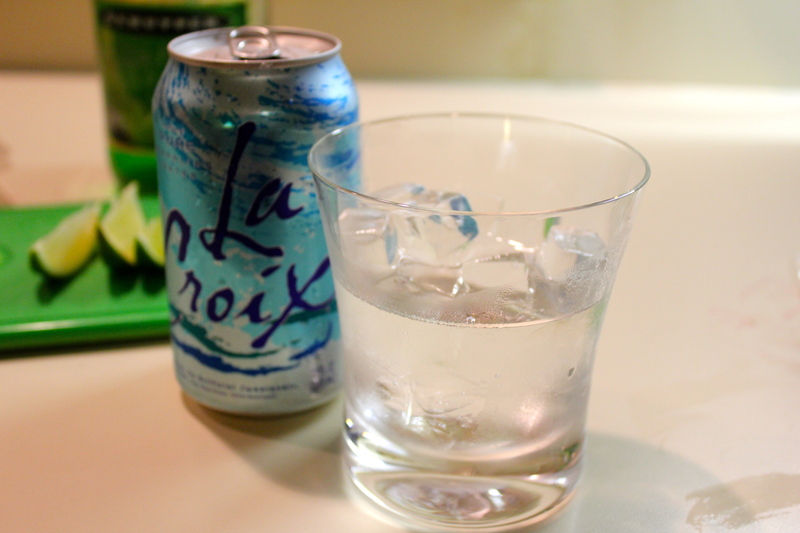 Pour your La Croix over ice until the glass is 2/3 filled. 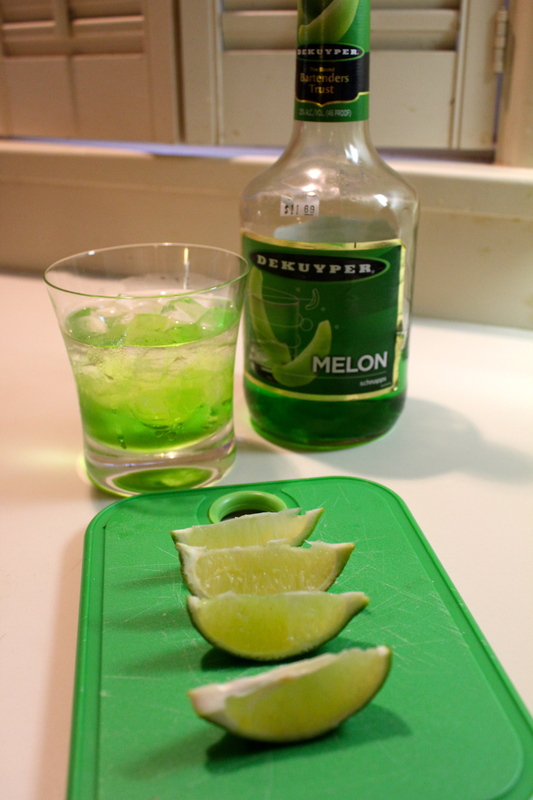 Add about two shots of Midori Melon liquor. Toss in the four raspberries and muddle with a spoon. 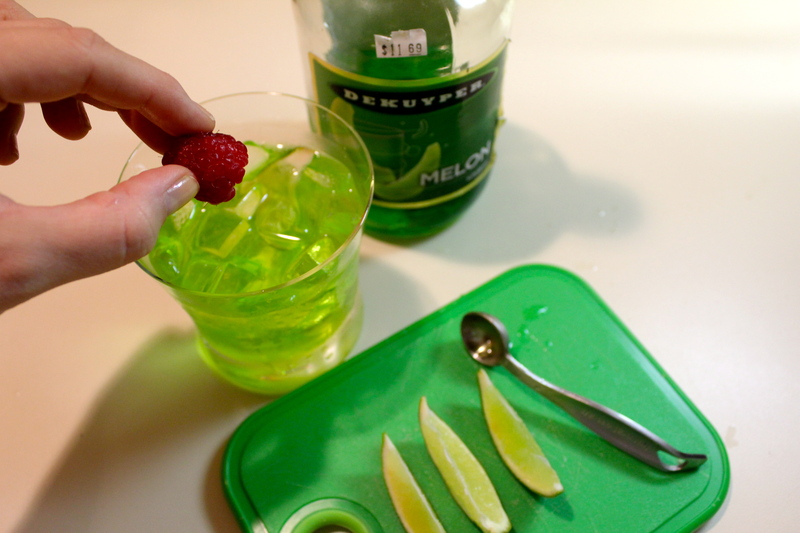 Squeeze the lime wedge into the concoction and toss in for long-lasting flavor. It it tasted amazing! 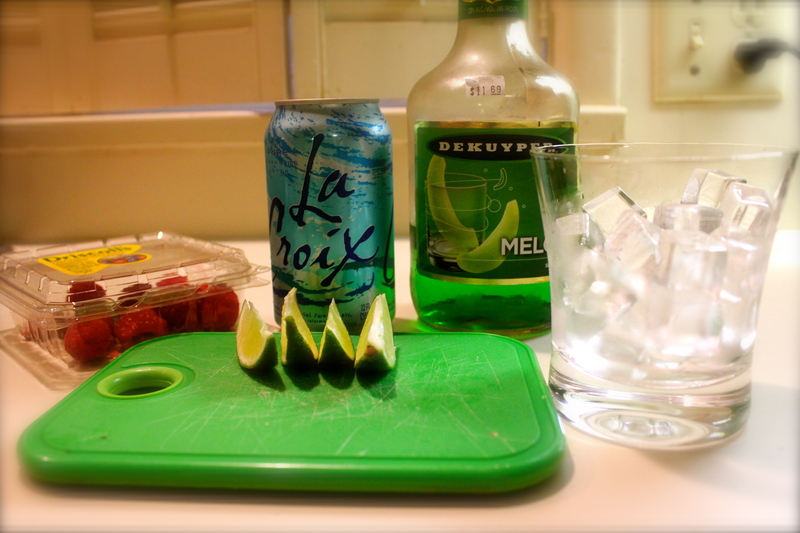 I love that the sparking water was the CALORIE-FREE base of the drink. I didn’t have to feel guilty drinking a sugary drink. 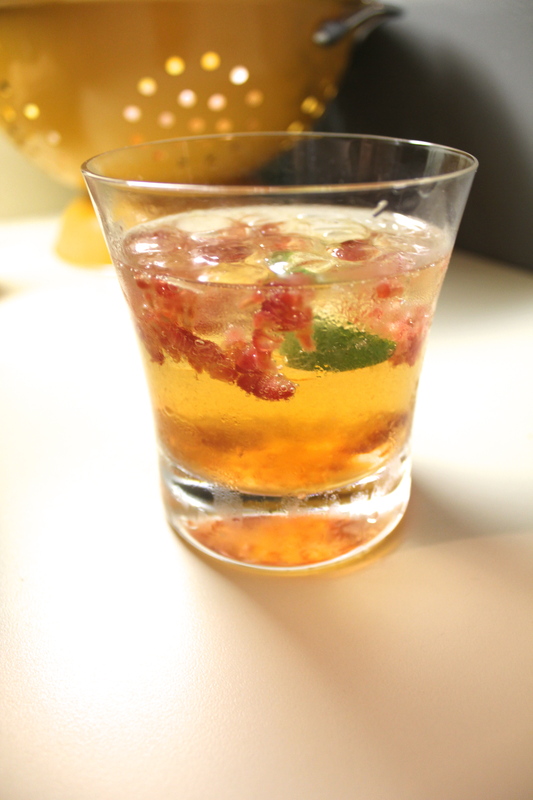 The raspberries and lime juice were healthy, too! 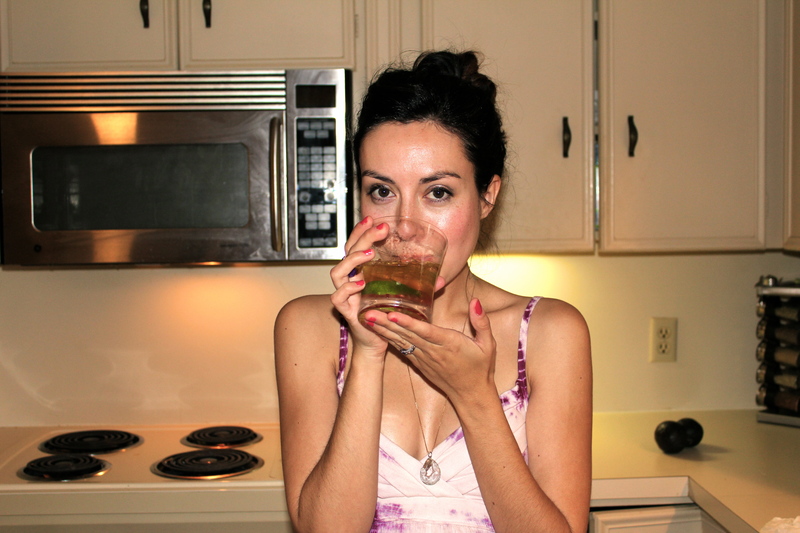 I had to make the girls sample it … and they liked it! 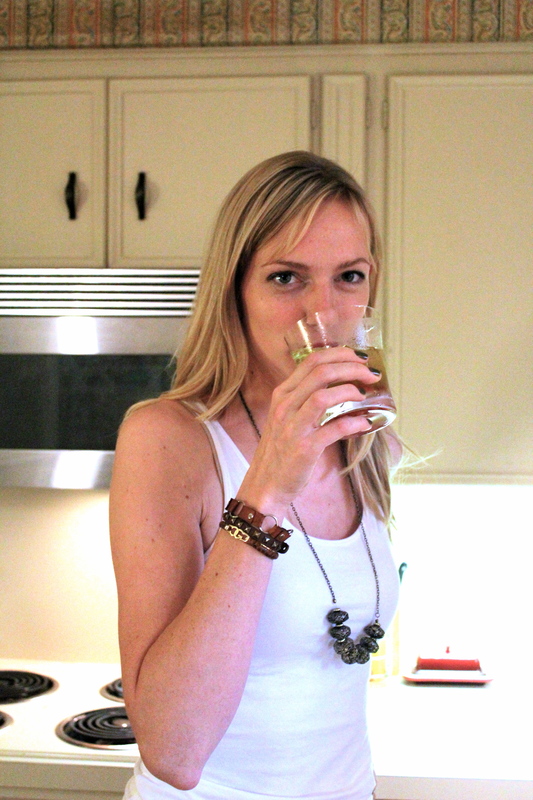 PS: I’ll post about my entrée later next week … it was yummy! And easy. Pingback: Quick Mexican Side: Avocado Voila!!! | mrs. & the misc.